BIG R started as a hardware store for the rancher and farmer! Sticking to the basics is a part of our tradition! That's why you'll always find a huge selection of nuts, bolts, washers, nails, screws and specialty fasteners in different grades and metals. 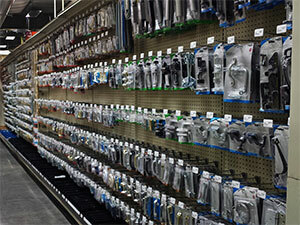 We know you have a lot to do, and our Hardware Department proves it!